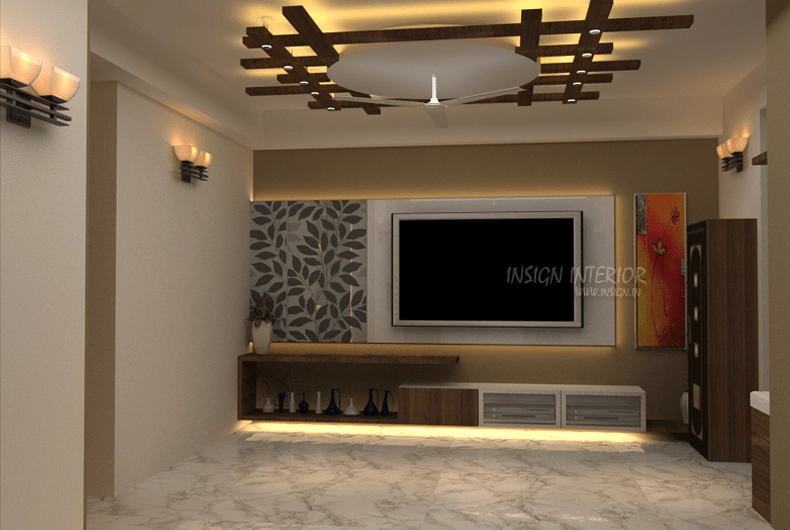 We make sure to involve our customers every step of the way as we conjure up designs.We will always strive to live up to it, everyday with every design we make. 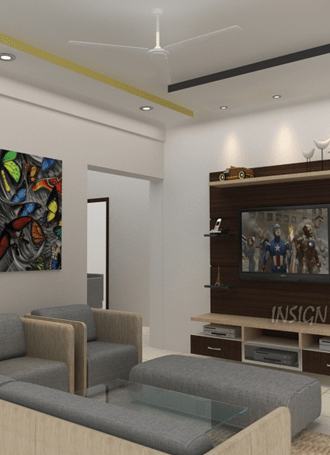 We began Insign in the year 2009 with a very small team & aimed to enhance interiors of people’s homes with designs that bring style together in a perfect ensemble. 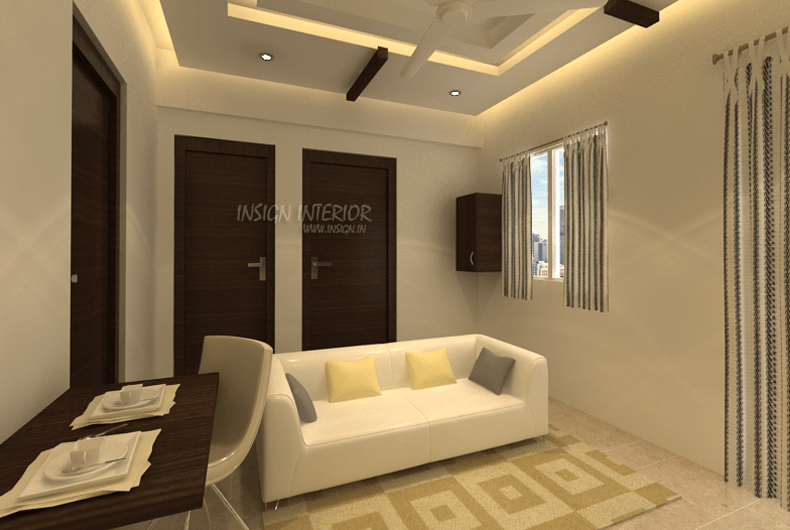 Having more than a decade of experience in interior designing, Insign Interiors is a one stop solution for all your design needs. 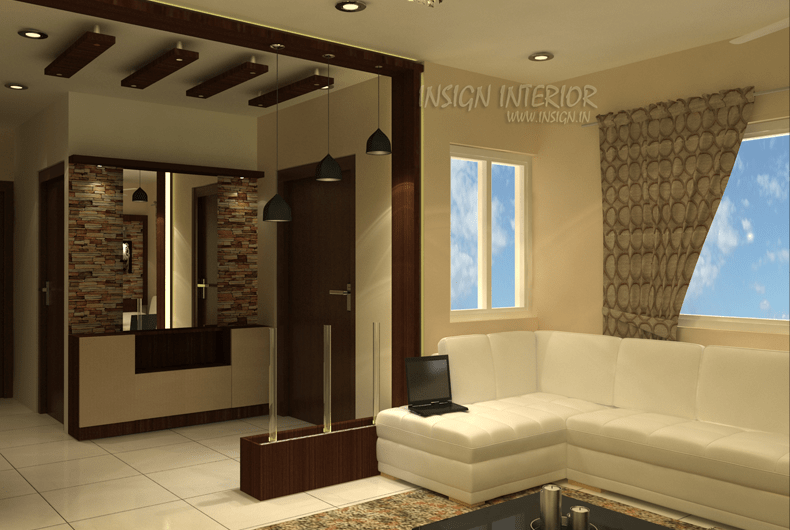 Insign is a full service architectural and design firm providing a highly effective and unique approach to architecture centered. We undertake execution of Construction Works right from the foundation to its completion & includes steelwork concreting. See the Difference Images Slider. 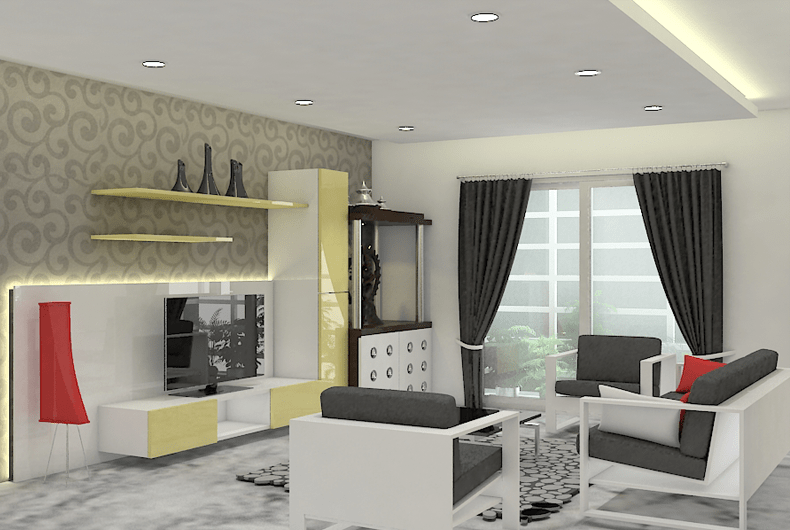 Our journey began with a couple of clients willing to give the new kids a chance to design their home. Needless to say, they loved our designs and execution. 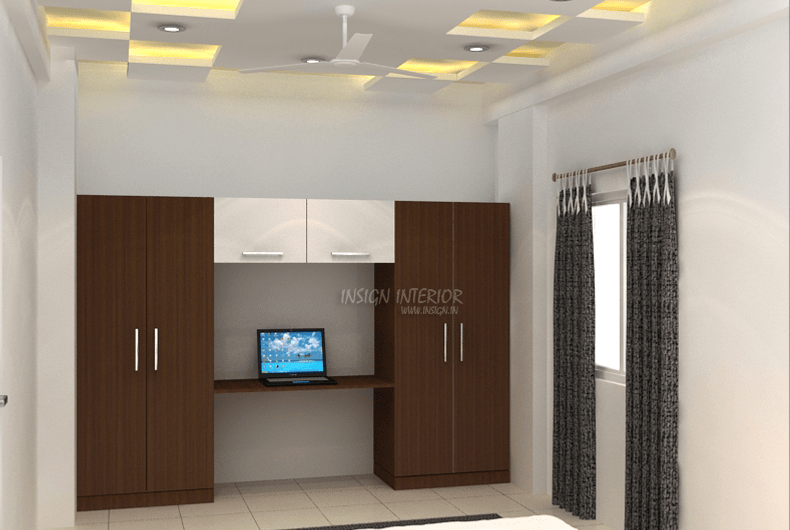 Have Provided complete solutions from woodwork to curtains., Complete renovation done in the old bungalow. Flooring done with wooden flooring. 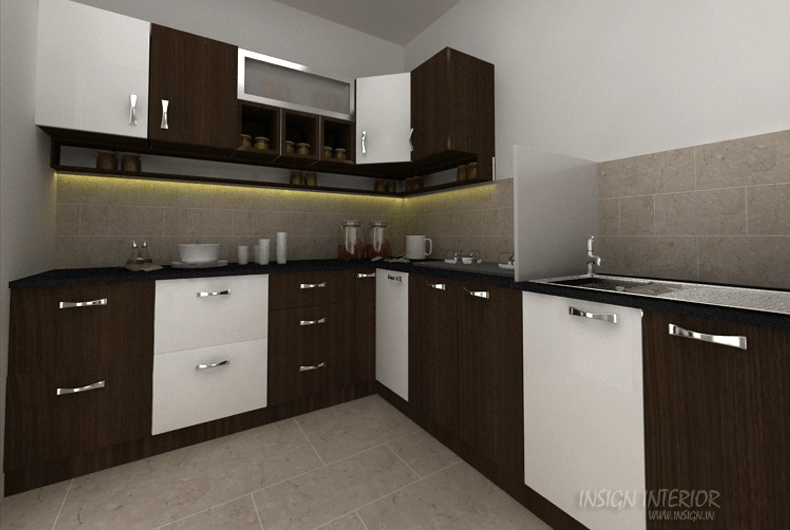 Kitchen cabinets done with glossy laminates with soft closure along with Haffelle fittings. 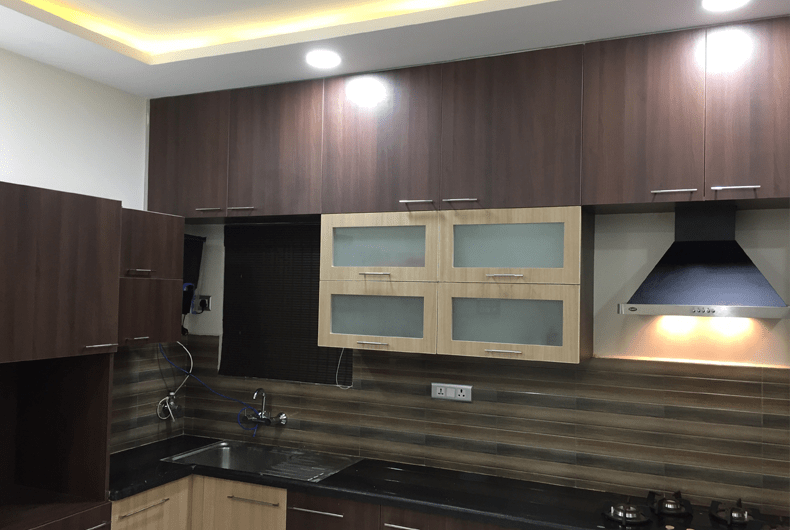 Backsplash done with toughened glass combination and all cabinets with handle free concepts. 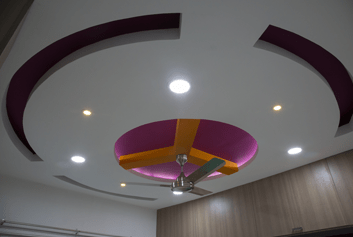 False ceiling designs done with combination of gypsum materials and CNC cutting wooden designs used in false ceiling and also in partition between living and dining. Cots done with PU finish, veneer finish and with cushion back panel with lightings. 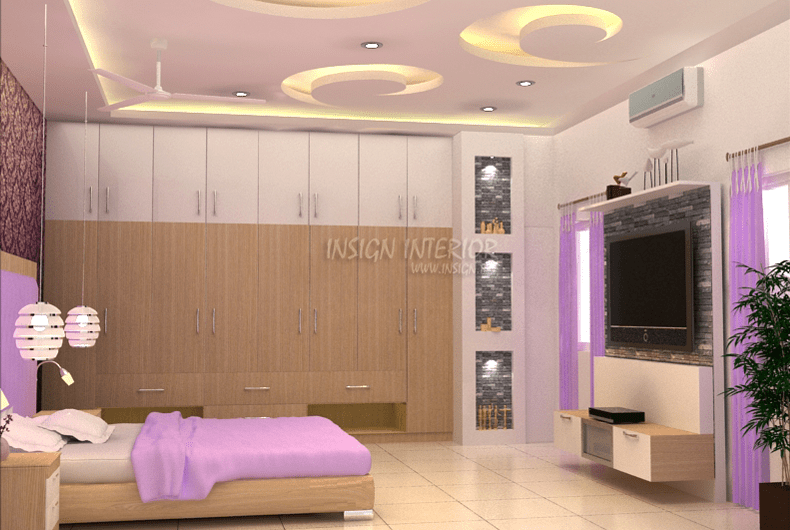 Provided complete solutions from woodwork to curtains., False ceiling done with the concept that runs from Foyer to living and dinning., Shapes used here are in curves for bedrooms and one bedroom for kids room concepts Kitchen cabinets done with glossy Digital laminates with soft closure along with Haffelle fittings with handle free concepts. Partition between living and dining with pu and veneer Stone cladding done Opp to entrance and painting done above the shoe rack cabinets. 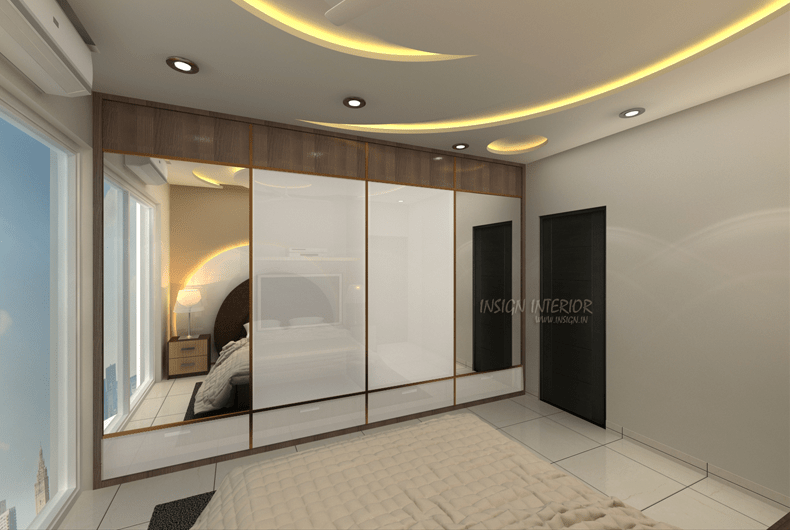 Wardrobes done with Glass sliding cabinets along with mirror and tv cabinet to be part of wardrobes inside the sliding doors. You can see our site images/Videos for better understanding. 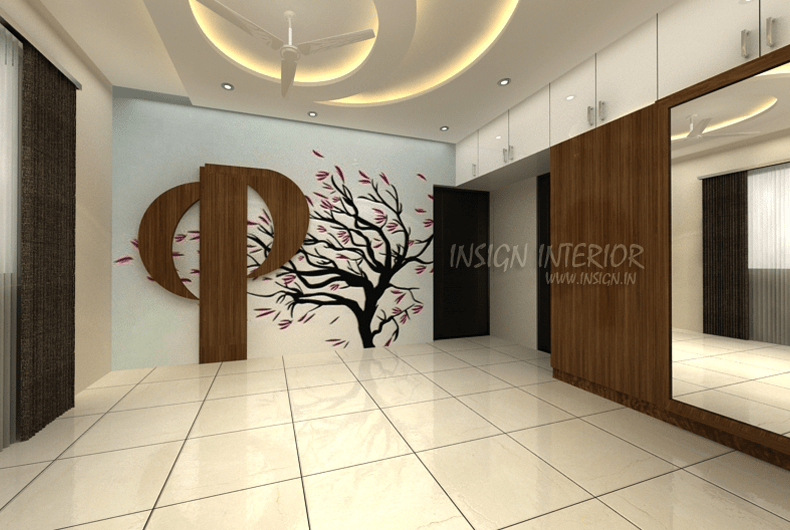 Foyer entrance we have treated with designer laminate along with stone cladding on top to false ceiling area. 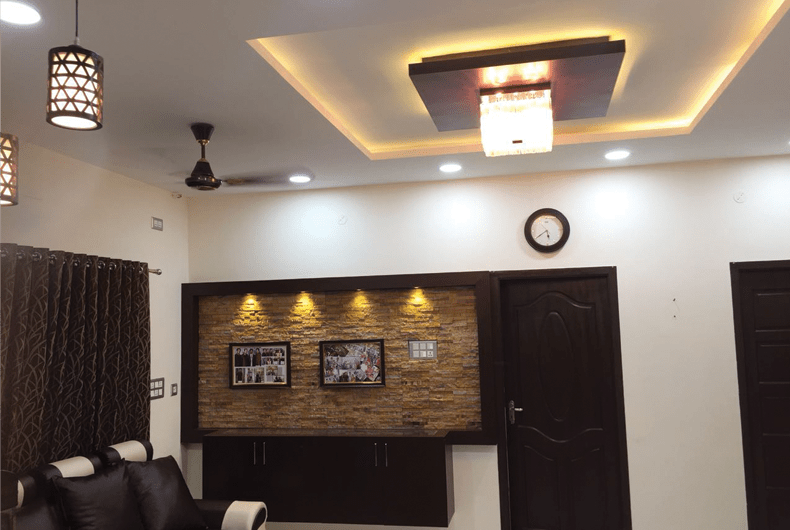 Have few spot lights for highlight pictures, bottom we have done with shoe cabinets with granite top in white color.,False ceiling done directly to ceiling with glass and plywood on the dinning section and plywood ceiling hanging from ceiling to living sections. 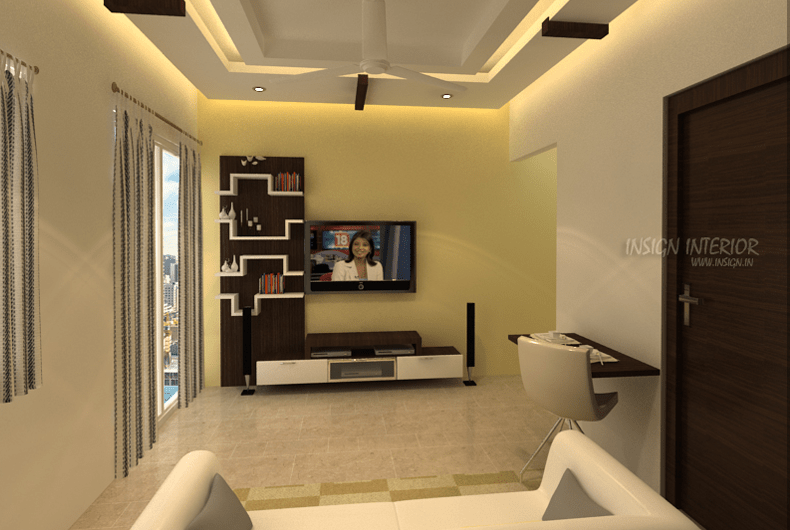 Tv units done with glass panel and designer glass and walls with texture paints and wall paper to complement the interiors. 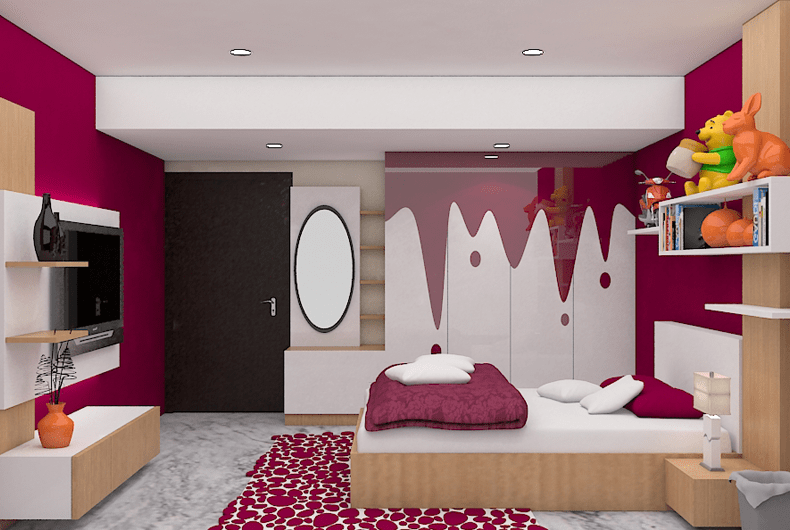 Bedrooms with wardrobes and study unit along with paintings on wall You can see our site images/Videos for better understanding. 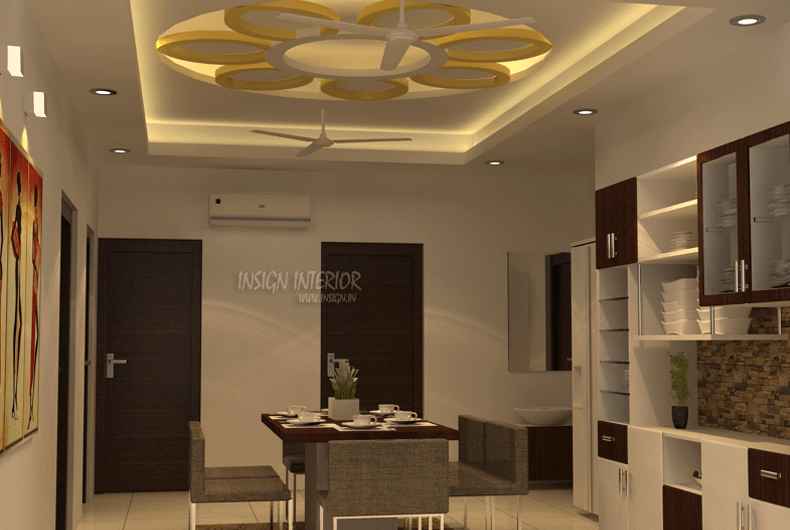 Simple false ceiling done as per the space and lighting available to our living space. 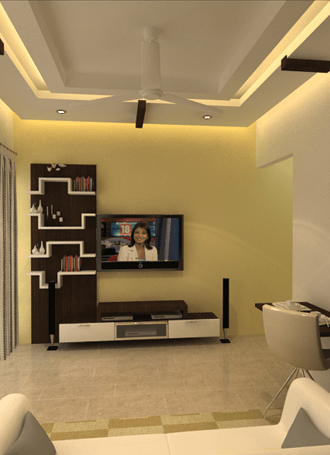 Tv unit with display and panel. 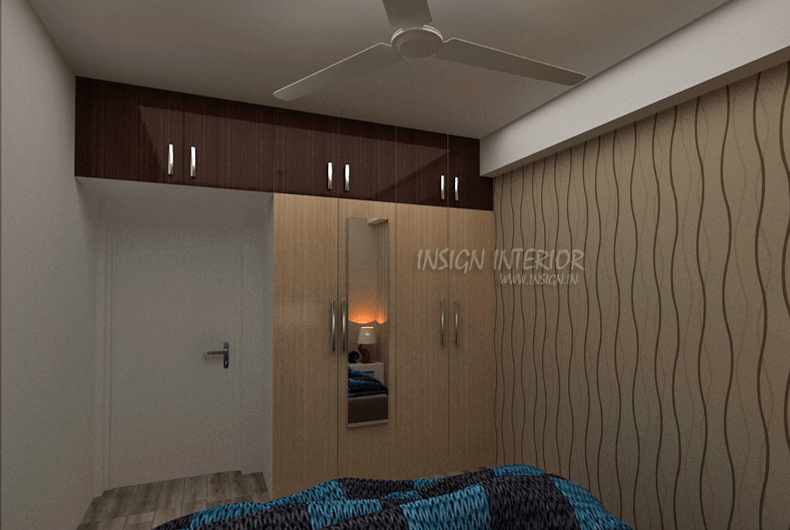 False ceiling in bedroom done with the concept of walking space and sliding wardrobes with glossy laminates with Hettie fittings to hold the doors for longevity and aesthetically. 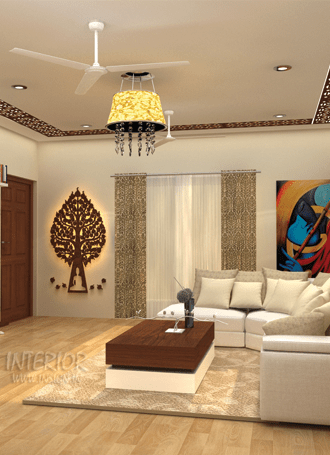 Living Room with rectangle false ceiling with cnc designs which runs along with gypsum false ceiling in rectangular shape gives the living room a grand vision. 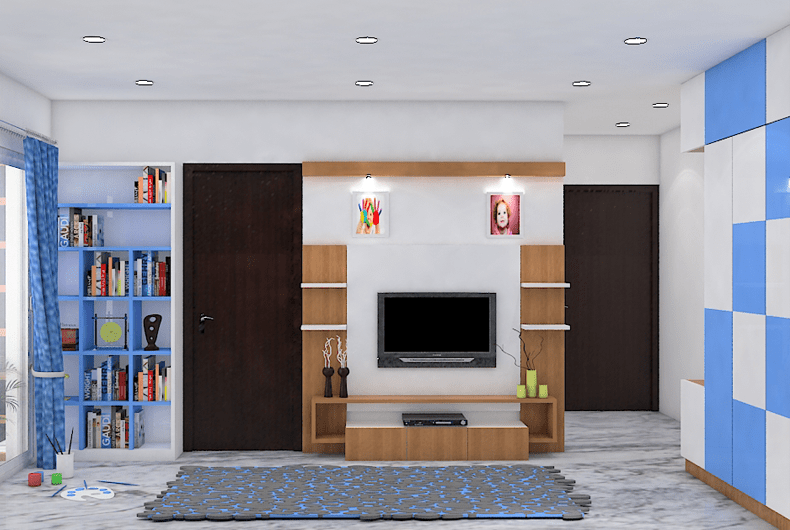 One wall done with complete tv unit cabinet with storages to hold all receivers, tv box, etc. 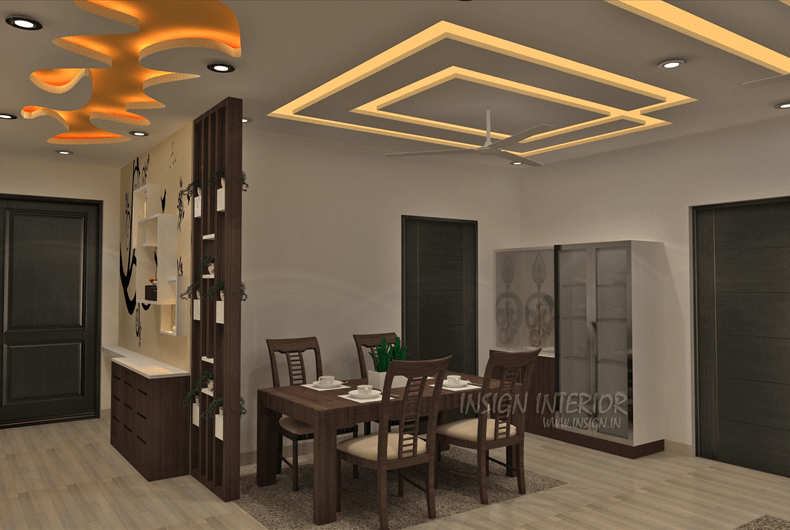 Dinning false ceiling done with petal concepts with lightings and Pooja room done with panel work with carved edges on all 3 sides. Bedrooms done with complete 16’ wardrobes with cot and backside panel. 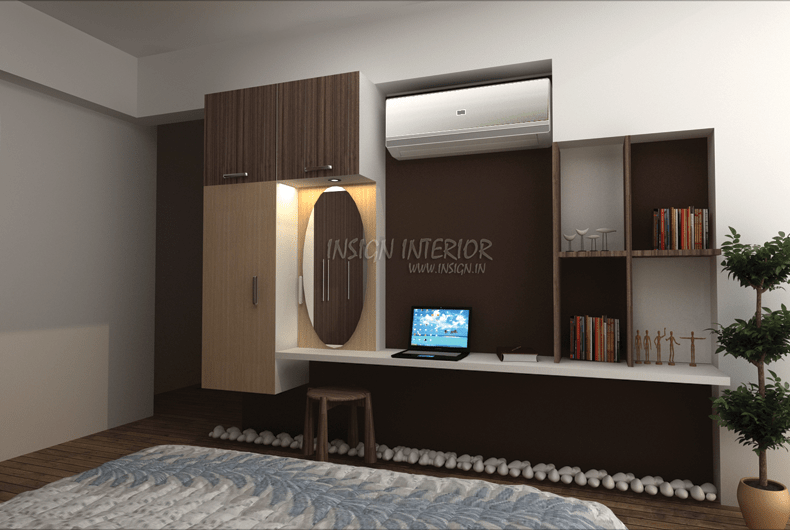 Study area separated form bedroom and tv unit. 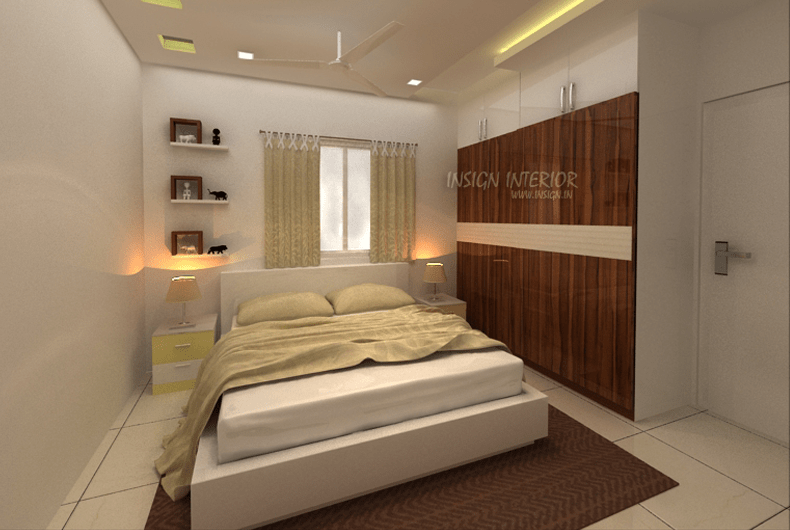 Each bedroom done with different concepts., Wall Paper used to back side of cot has been used in sliding wardrobes as a theme that runs entirely with same concept. 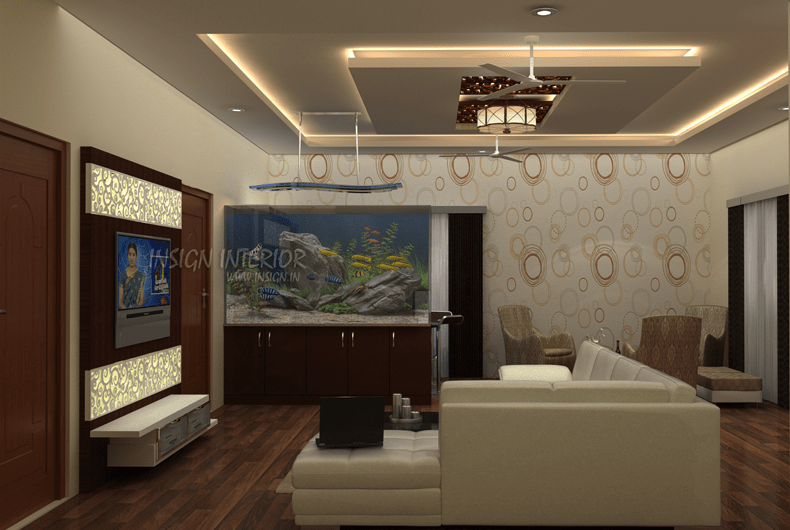 Cots done with the back cushion panel to match with the wall paper concept of the room., Bottom steps area have been decorated with pebbles and stone clad with a small fountain. 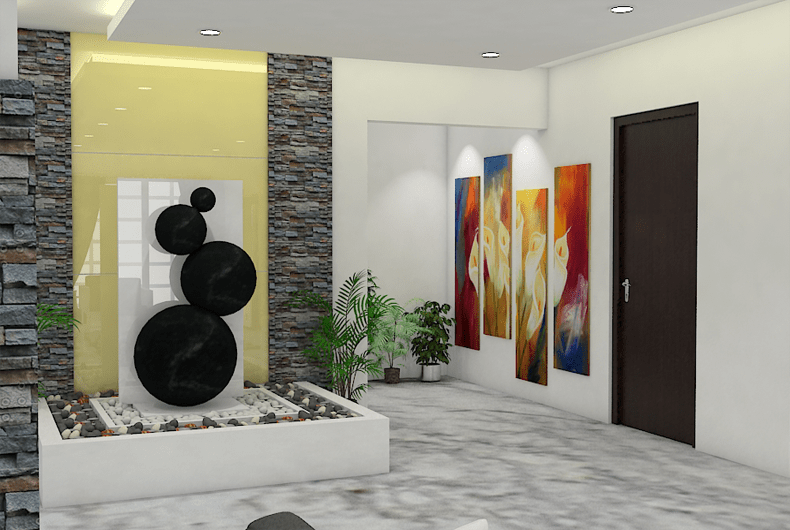 Foyer entrance done with hanging wooden planks and a small partition with glass and pebbles lightings to divide foyer from living area. 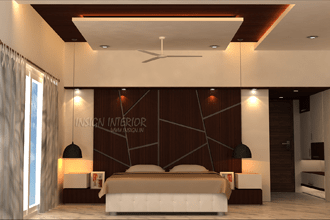 Living false ceiling done with veneer and gypsum materials and chandler light in the centre of the living area, All bedrooms done with backside laminate panel along with wall paper and stone cladding in bits to make more aesthetic and rich rather than making it so clutter. 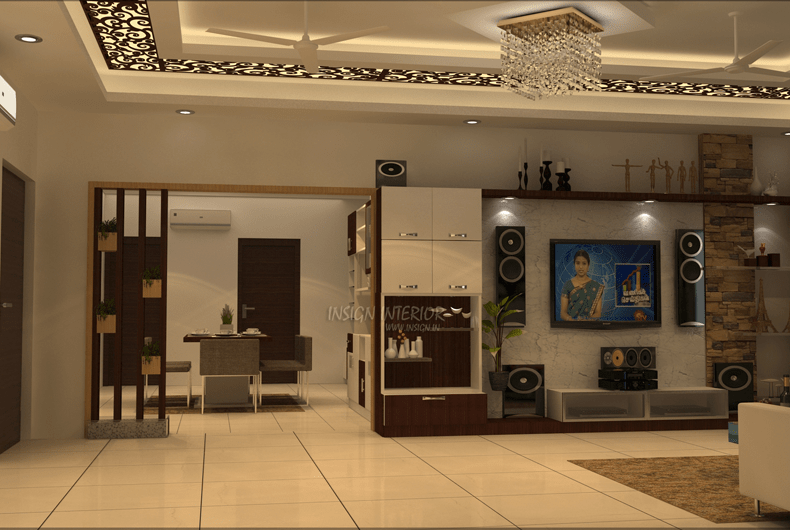 Our design will make more space and rich in feel in all our projects.,You can see our site images/Videos for better understanding. Needless to say, they loved our designs & execution. Our team are experts in capturing the image of the customer & bringing it into reality. 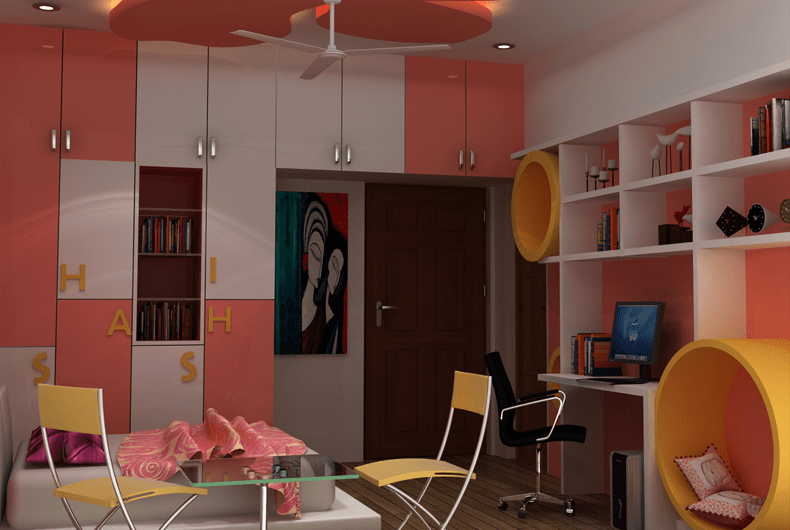 We make sure to involve our customers every step of the way as we conjure up designs. 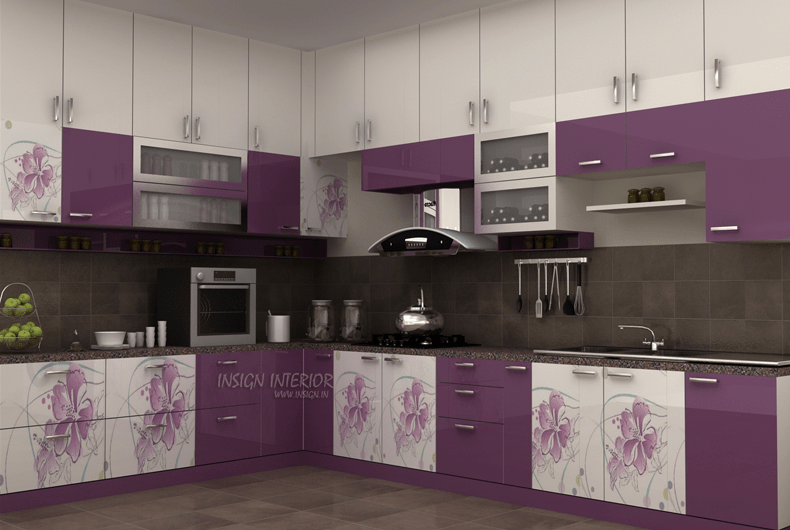 We provide technical and aesthetic solutions in order to make your. 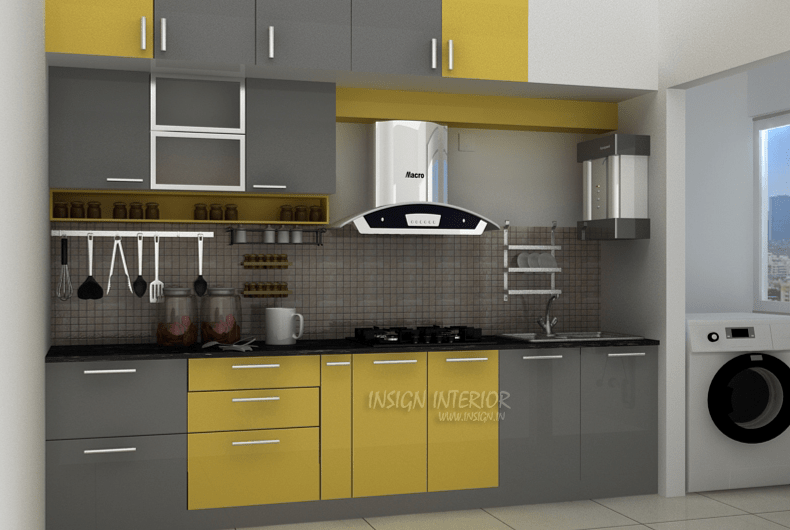 Are you ready to makeover your space ? 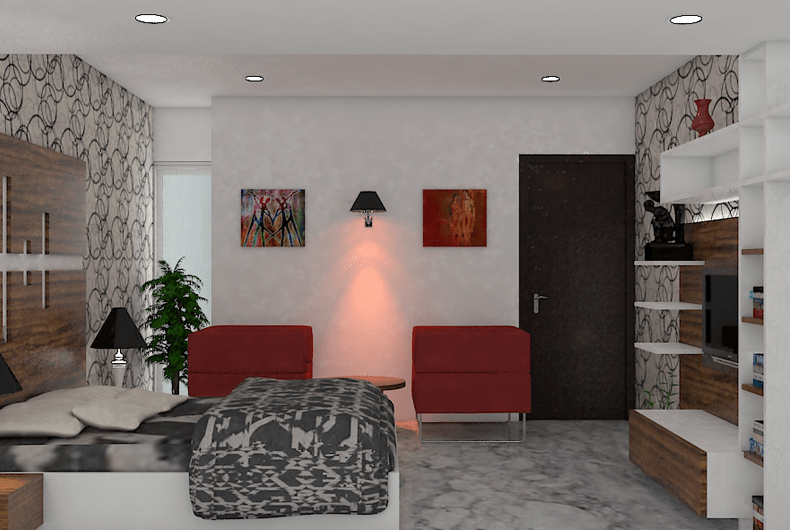 we also provide 3D images of what the space will look like once we are done. 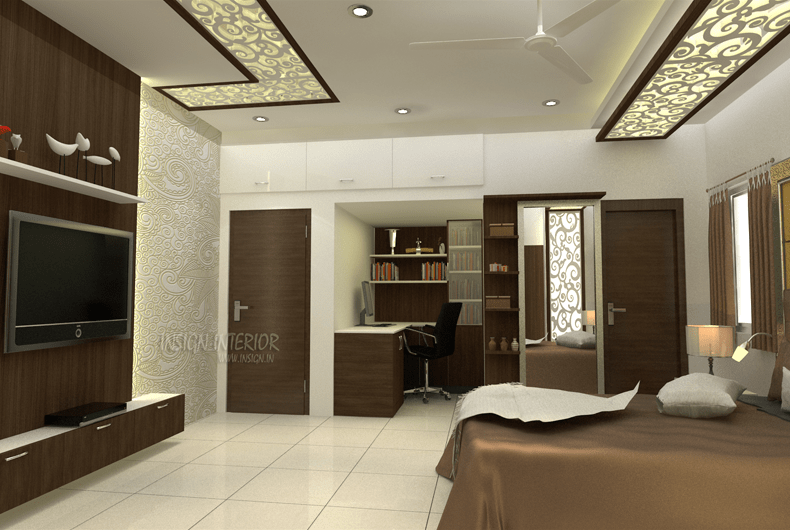 We proceed with the physical work only after the client’s approval of design. 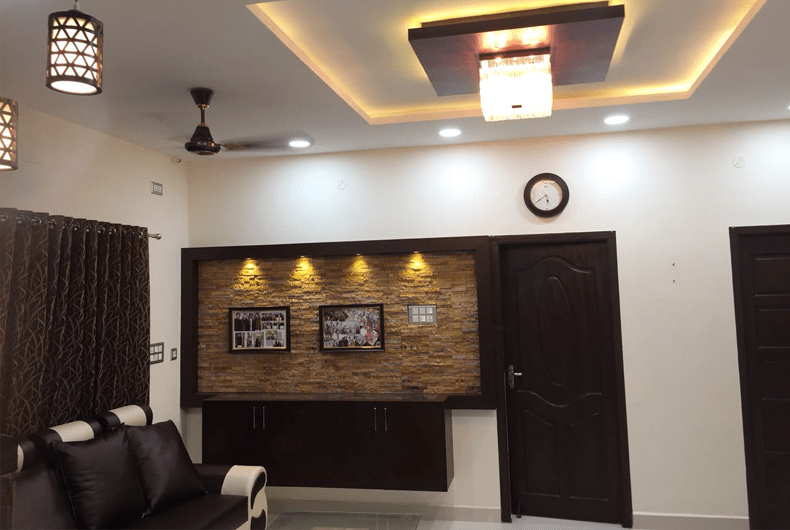 Meeting up with clients and taking the requirements in detail along with visiting site and providing the basic quote to proceed with designs on the confirmation from our clients. Our team starts working on the idea and concept based on the requirements ., Designers will present the presentation as per the space available. 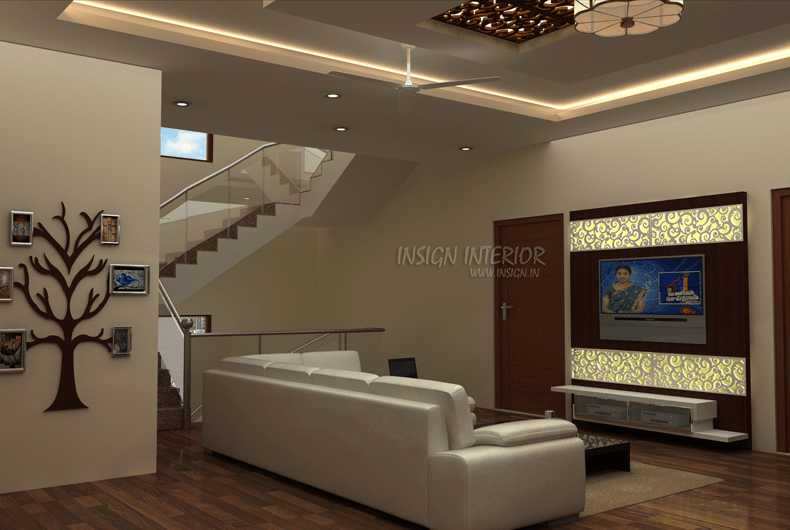 Designer will work on space, lightings, colours that suits the place and making it more functionally available according to our client’s need. 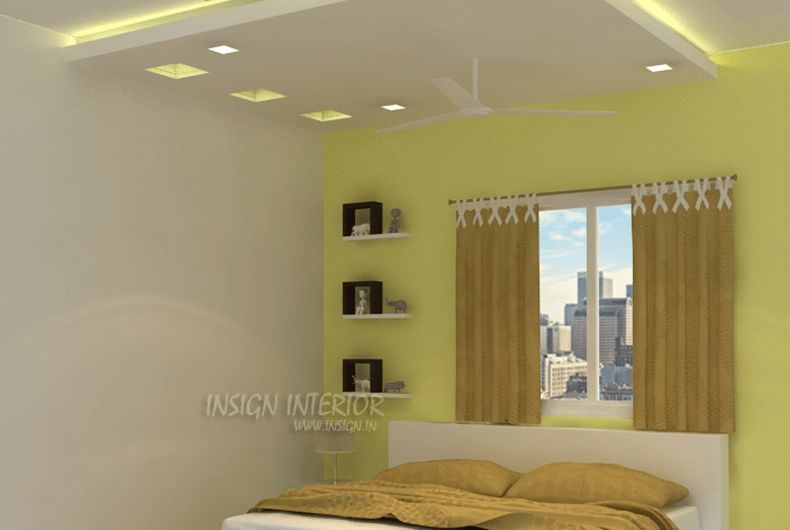 We found Insign Interiors to be very professional with strong designing and project management skills. They listened to all our ideas patiently and incorporated them with their team’s design ideas. 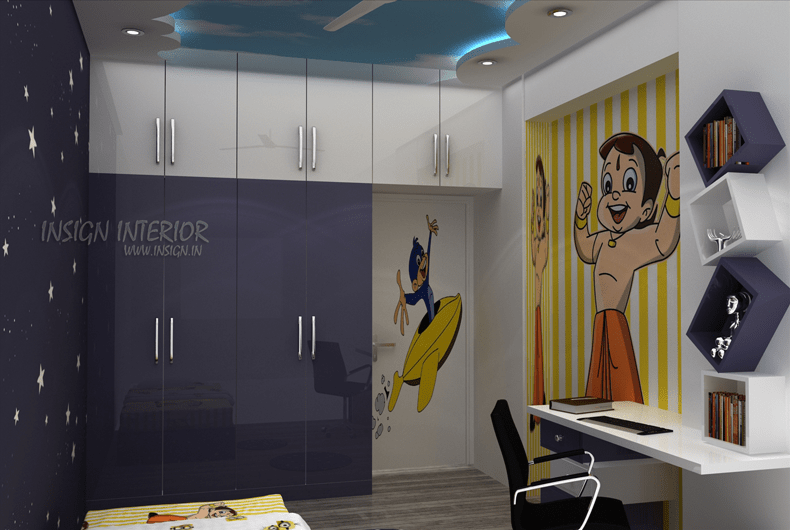 They helped us make long term decisions regarding furniture, curtains, wall paintings and other expensive items. We found the whole experience of working with Insign worthwhile and overall a good value for money. 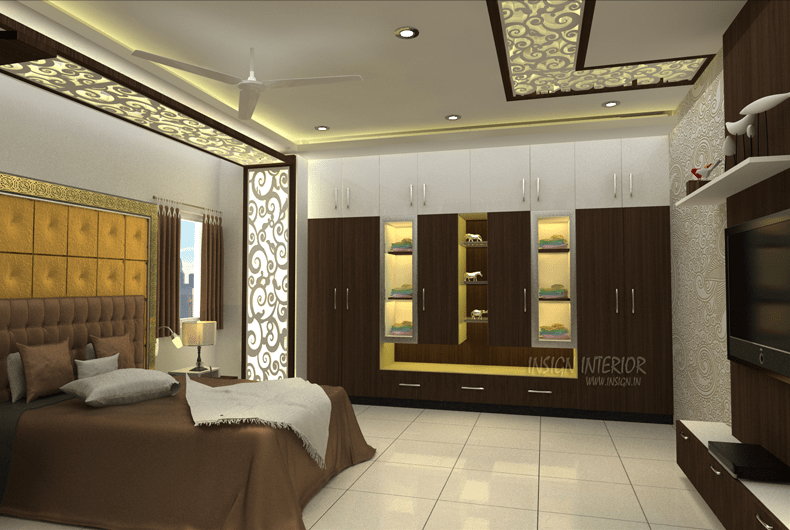 We are very much satisfied with your designs and ideas for our home. Your planing and execution was perfect and your team was completely professional throughout the whole process. Your work is appreciated by all of our guests. 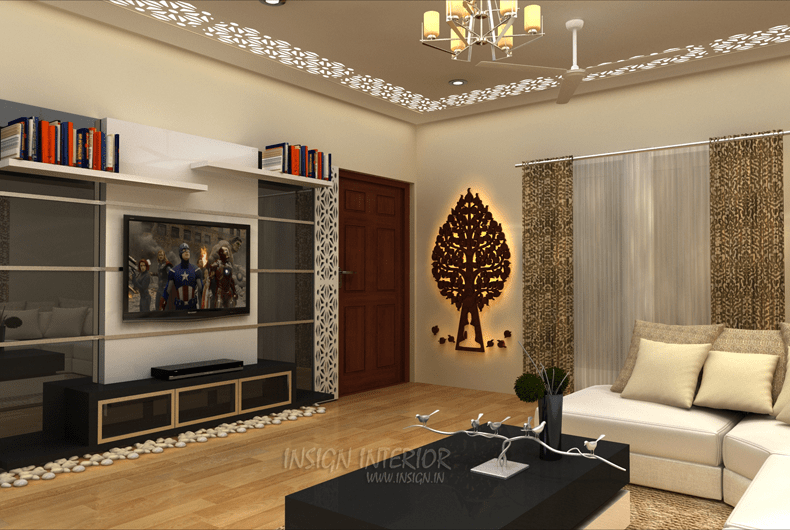 It was an immense pleasure to have Insign design our home. They made our dreams for the home become a reality. 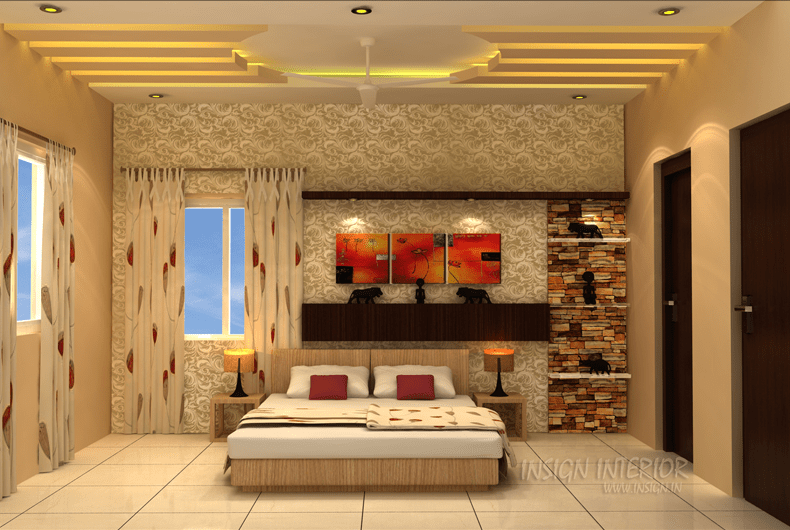 They understood exactly what we wanted and executed the whole design impeccably. 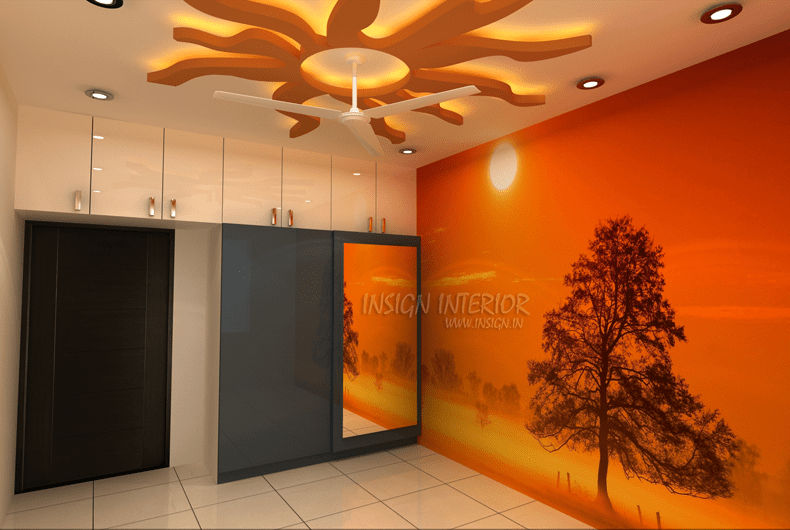 The Insign team could even make our smaller spaces look big and beautiful. 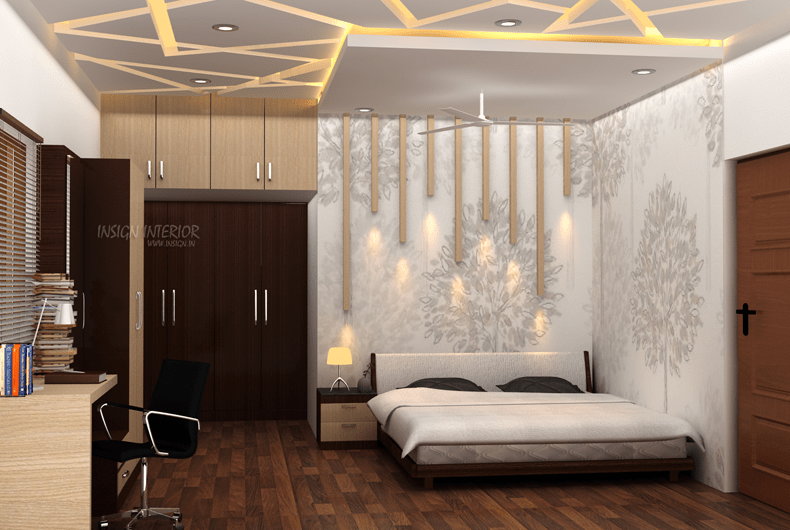 We would have to agree that if it were not for Mr. Rakesh and his team, our home would not have looked this good. He did a wonderful job. To summarize, we really had a good experience with Insign team. 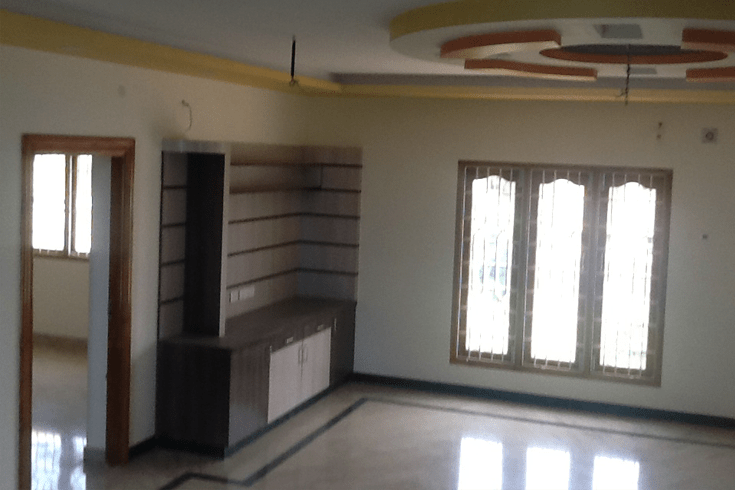 It was collaborative work carried out by both painters and carpenters. They were really instrumental in handling things. There suggestions for painting and textures were really noteworthy. All the jobs were carried out within the agreed time and we are very happy with the quality of work. I am extremely happy that I made the right choice in selecting Insign to design my flat. 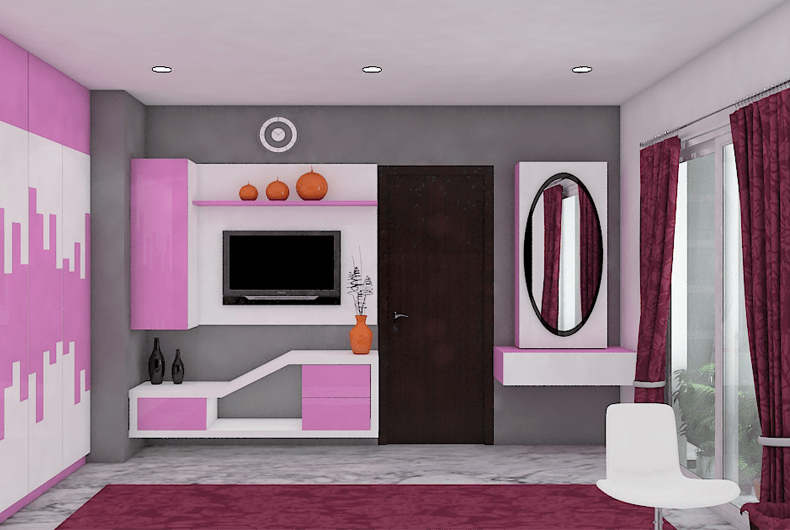 It proved to be the one-stop-shop for all my interior designing requirements such as carpentry, electrical, painting and more. Their ideas on designs were both original and impressive. 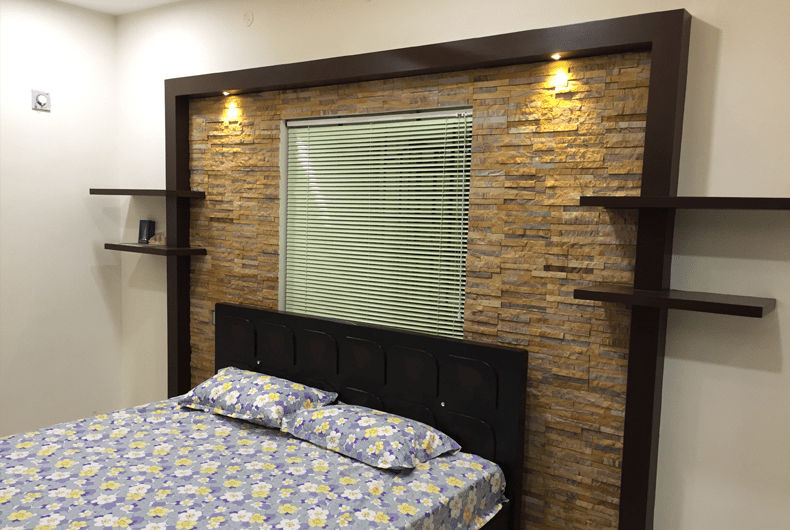 They used the best quality available and maintained everything as per our agreement. The delivery was ahead of the schedule and I haven’t seen such a dedicated workforce before. Overall it has been a very pleasant experience.